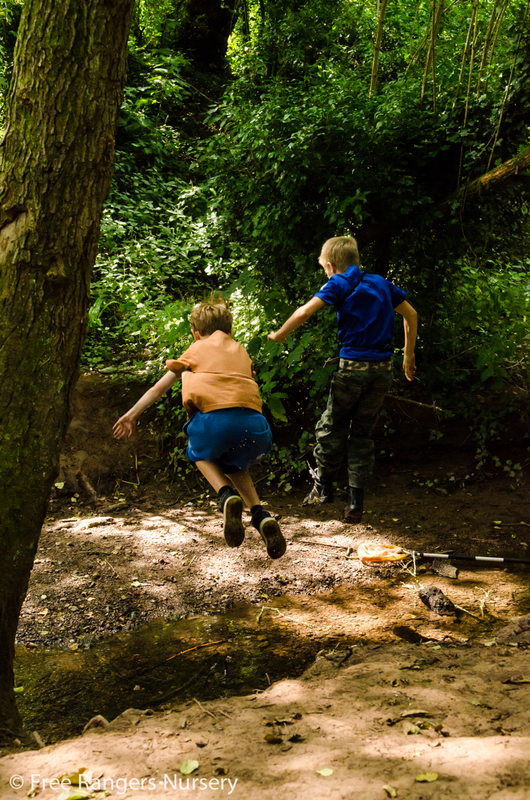 If your child is aged between 5-10 years, has a keen sense of adventure, loves the outdoors and relishes the opportunity to learn new skills then come and be a Forest School Free Ranger for a day during school holidays. 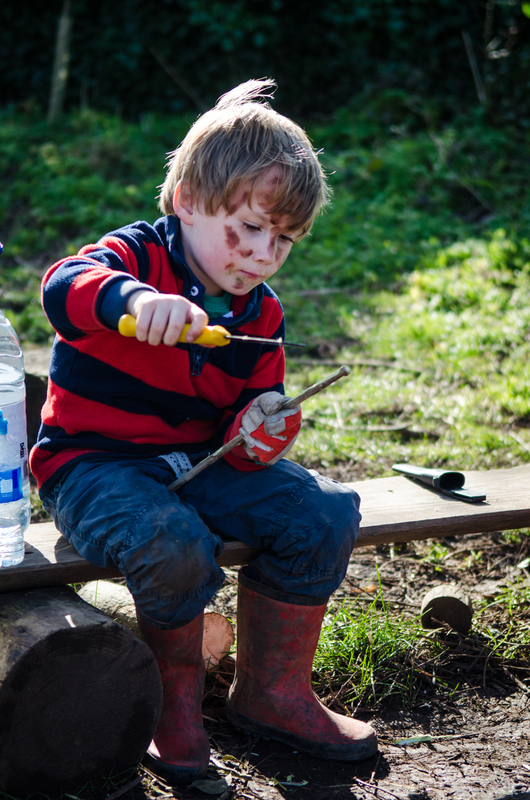 Our Forest School holiday clubs are run by Ed (aka Red Fox) either on site at Free Rangers Nursery or at our very own little woods (Otter Brook Woods) a short walk away from the Nursery. Please see the dates to the right of the page for details on which course is running on which days. 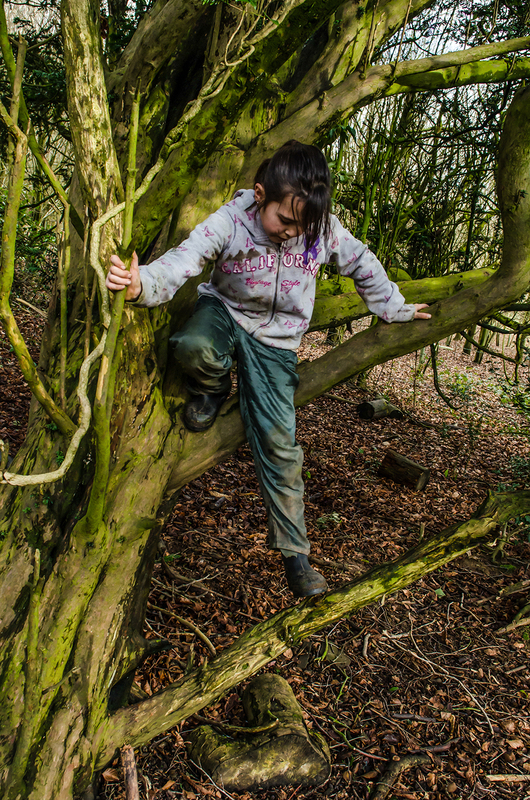 Our Forest School clubs can be very popular so please book early to avoid disappointment. Our club typically finds your children experiencing a variety of tools such as supervised knife and axe use, den/shelter building, learning about building and lighting fires safely with fire steels, clay play, problem-solving, cooking a delicious lunch, surveying and exploring the brook or pond, or playing a multitude of forest school games. 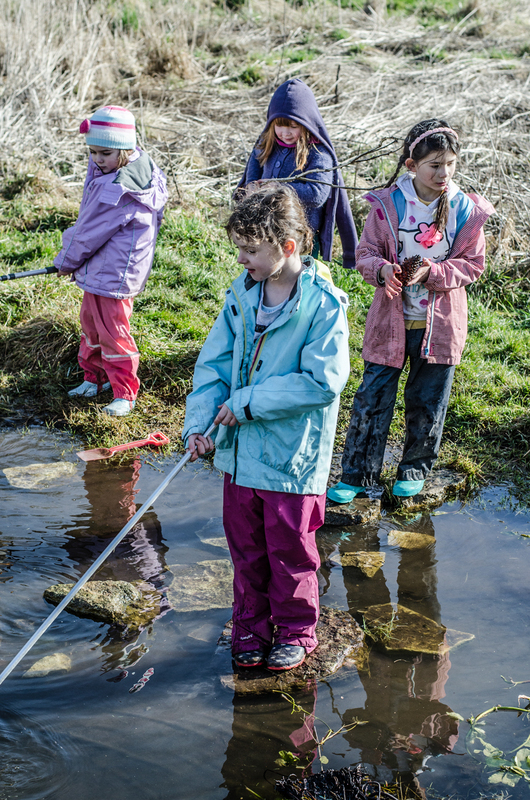 We look to challenge your child on these days, to have a try and learn something new, or to reinforce any knowledge and skills they bring with them, establishing a healthy and positive connection with the outdoors. 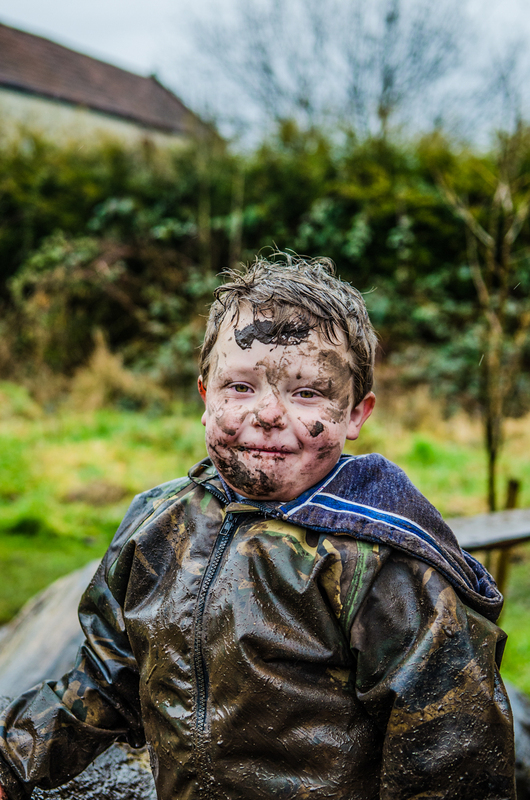 We guarantee they'll come home smoky, muddy, healthy and full of adventure! Sessions run from 9am till 4pm. We do try to leave as close to drop-off as possible to maximise our time outdoors. The cost is £30 for our Holiday Club. We also offer a £5 discount off the original price for any extra days booked and these prices are inclusive of lunch (see below). Some healthy snacks & water - Lunch is provided but we recommend bringing a few snacks i.e. fruit/flapjacks/bottle of water. Please ensure all snacks are NUT FREE. Click on the link below to be kept to date with all the important updates and information on the holiday clubs! If you have any questions regarding Forest School clubs please contact us using the Contact Us page.